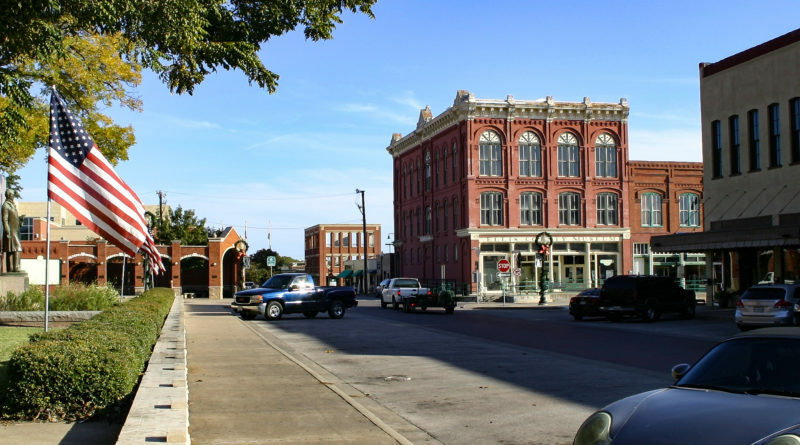 Waxahachie is a little mecca in East Texas. It has it going on. Art, guns, history, you will find it all here. And you don’t have to look hard. 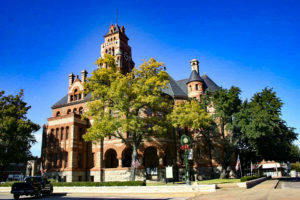 Just keep an eye out for one of the prettiest, architecturally interesting courthouses in Texas. It’s kinda got that high-class castle vibe going on and is surrounded by old buildings that on a Sunday, I imagine are reminiscent of a ghost town. Texas has some pretty courthouses and this is by far one of the most eye-catching. My cousin and I ventured into town for the day, of course, the first thing we did was look for the clock, snapping pictures along the way. 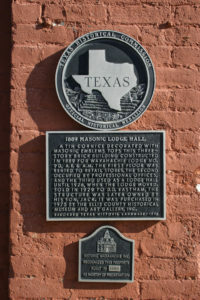 We then hit up a few of the resale shops, stopped for lunch at a little Mexican place (Not half bad, but for the life of me I can’t remember its name) and learned a few trivia facts at the Ellis County Museum. Like how many movies have been filmed in this area. 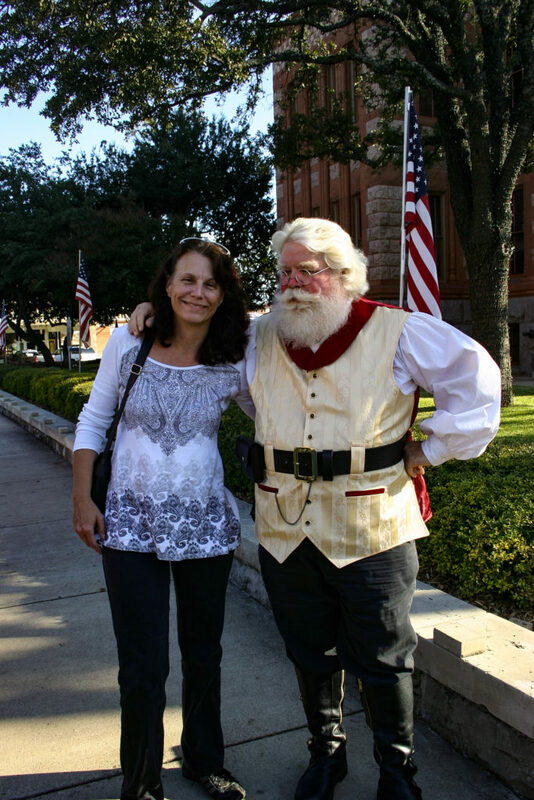 Oh yeah, I almost forgot, we ran into Santa…who knew he hangs out in Waxahachie? I sure didn’t!